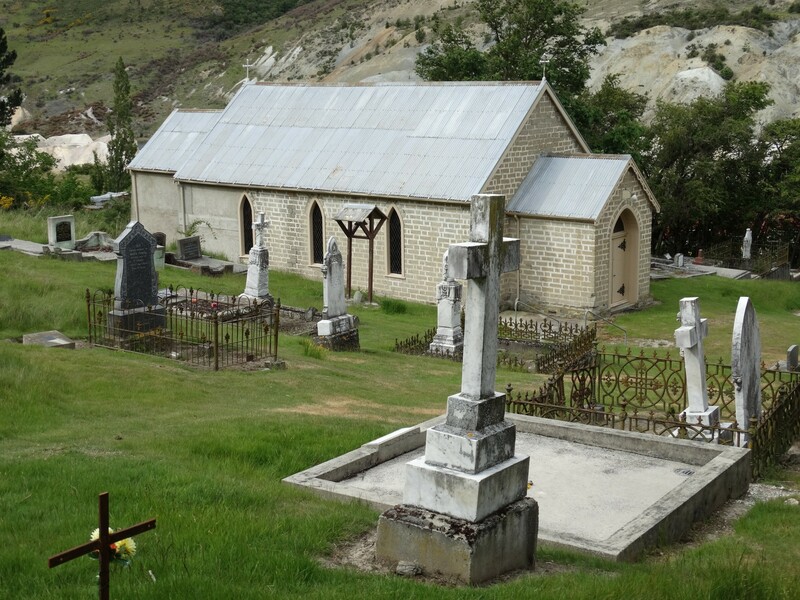 Located in the historic township of St Bathans is this delightful church graveyard, the only example of its kind in Central Otago. 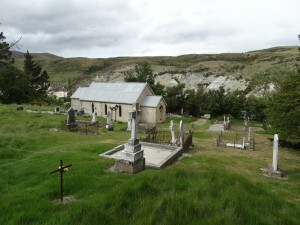 St Bathans was the first parish created in the Diocese of Dunedin, New Zealand, but now is contained within the pastoral area of Omakau, a present-day parish of the Diocese of Dunedin, New Zealand. 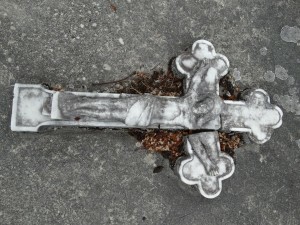 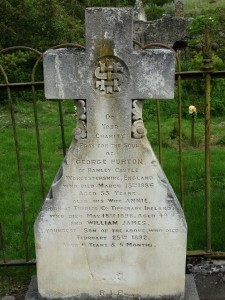 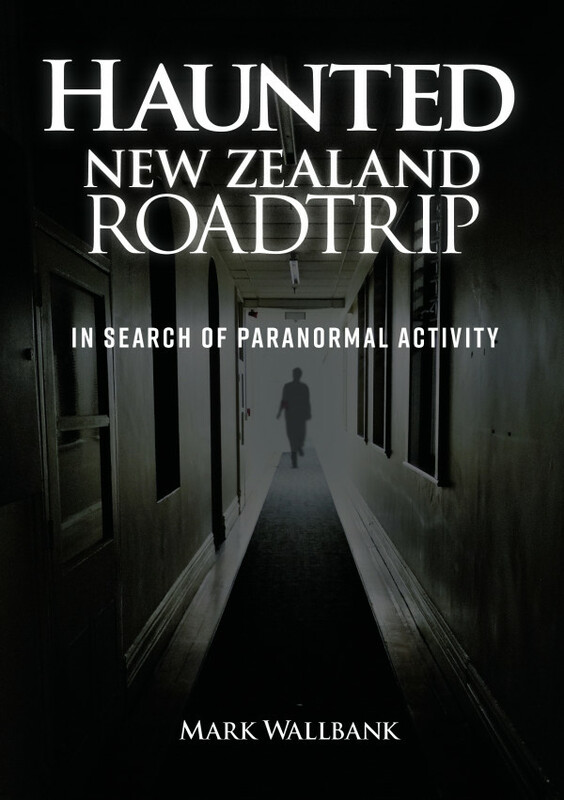 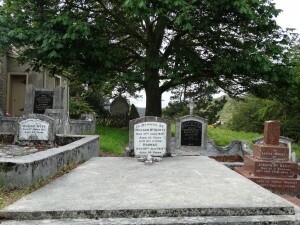 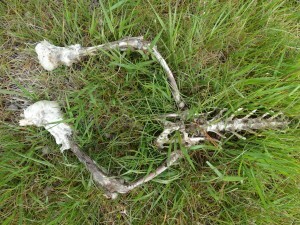 While less common in New Zealand, church graveyards were once the only place for burials in the British Isles, until the public cemetery movement in the early 1800s. 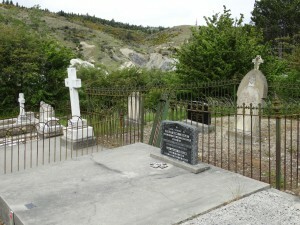 The cemetery was first used in the 1860s, shortly after St Bathans was settled following the discovery of gold in the area. 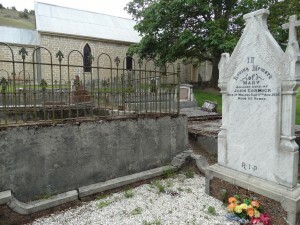 This graveyard is set around the mud brick-constructed St Patrick’s Church erected in 1892 and built to replace an earlier church destroyed by a storm in the 1870s. 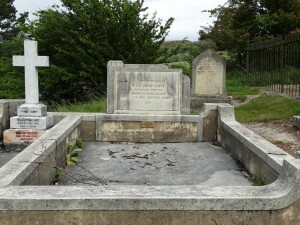 The previous church was destroyed by gale force winds (the ‘roaring forties’) in 1877. 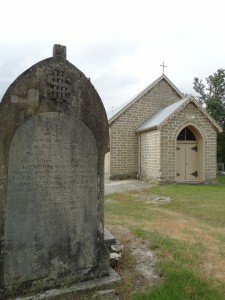 An inside and outside restoration of the present church, and repair of its foundations, was completed in 2007. The bell tower to the left of the church was re-erected in 1992 to mark the church’s centennial. 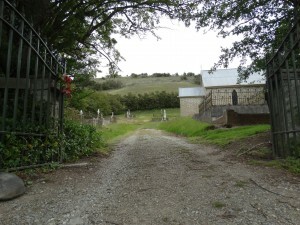 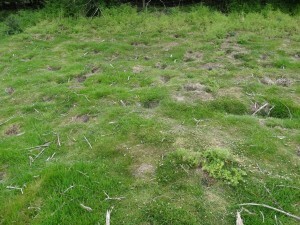 With many of the early gold miners being of Irish descent, some are likely to have been buried in this cemetery.